Provide the right tools to make and evaluate strategic decisions in retailing. 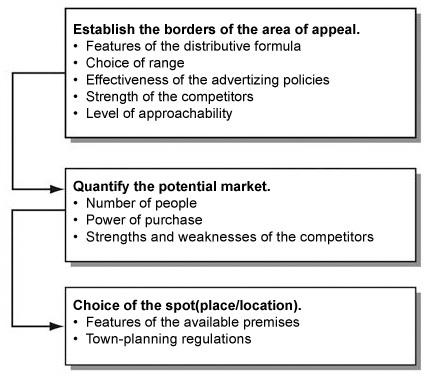 Retail companies: features and their impact on strategic set-up. Development strategies as emerging strategies. Strategic alternatives for small-scale retailers. Product range as a strategic problem. How to manage capital and labour factors. 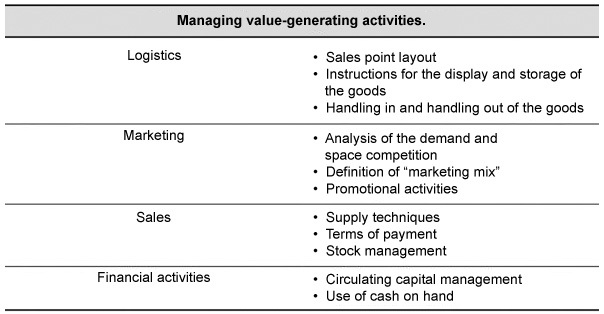 Differences between managing wholesale and retail companies; production, logistics and marketing. Size: the area of attraction and the size of the potential market. Structural know-how of the point of sale. Positioning: the map of preferences and the map of perceptions. 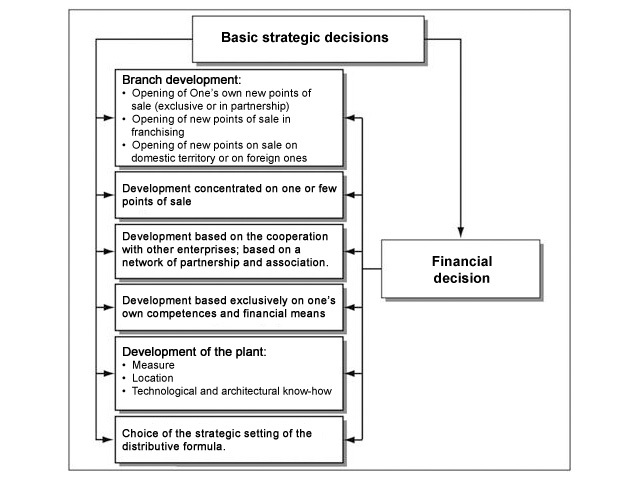 The financial structure and the financial needs of commercial enterprises. Agreements, networks and alliances: branch enterprises and associations. 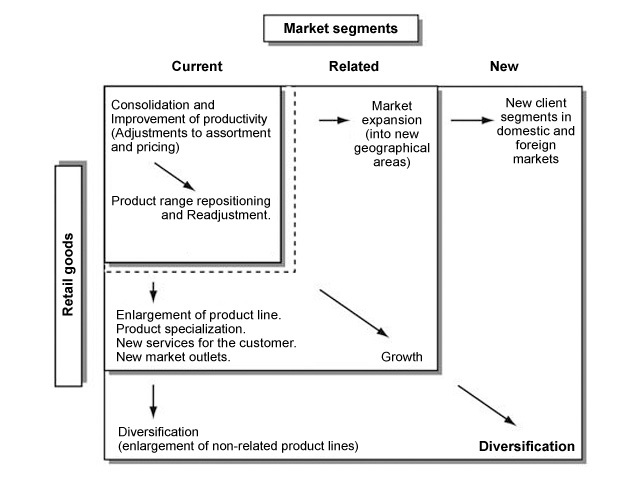 The evolutionary cycle of association in distribution. Franchising – Investiment evaluation in the field of business. Trust as a bond between customers unable to have “face to face” interaction. 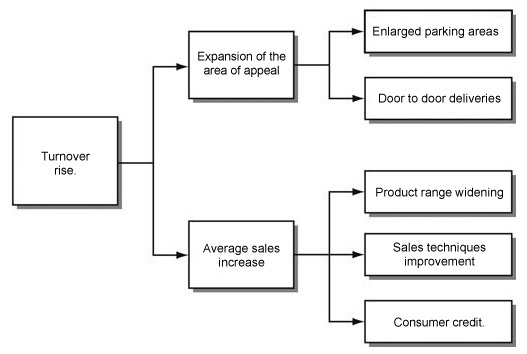 Improved sales process (customer targeting). Fear of being cannibalized by traditional marketing channels. Need to obtain trust and attract customer’s attention. Use of the web-site only for “window-shopping”. Very often the principal aim of retail management is to increase turnover and improve profit margins. Modernizing sales points and improving supply. Rationalizing the organization even through associations. Acquisition/purchase of new areas for sales and services, or new points of sale, or businesses working in the same sales area or in different ones. In order to steer positioning, competitive strategies must start with segmentation of demand (consumer behaviour and reasons behind the purchase). Choice of products and assortment. Level of fitting out of the sales point and levels of practicality. In the case of small companies, their lack of financial resources makes them concentrate on the business field and on the market area. Capital-related factors: space; plant and equipment; financial means. Labour-related factors: subordinate employment, non subordinate work, the entrepreneur and his/her family’s work. Visibility of products (display methods and techniques). Calculate carefully the volume of business needed in order to minimize average unit production costs. Determine the maximum work potential for the space and equipment available and, on the other hand, determine the best way to use the equipment for break-even point. Possible limitations relating to town-planning, commercial and health and safety legislation. Analyses how customers perceive the positioning of signs in a competitive context, where some of the variables are considered discriminatory. Storage equipment (shelves, cold stores, etc.). Handling equipment (forklifts, trans-pallets, tec.). Data processing equipment (hardware and software). Bar code reading system and invoicing system. Fixed plant (air-conditioning, lighting, electricity and water systems, alarms, heating). Tax relief and trade benefits. Sometimes written agreements, or just based on trust, formalising the relationship between independent businesses in the same field on a legal, financial and commercial level. These agreements can also become mergers or acquisitions. Can be set up between businesses operating in the same field (horizontal association), or between businesses above or below each other in the supply chain (vertical association). Allows traditional businesses to respond to the growth of large retail companies. 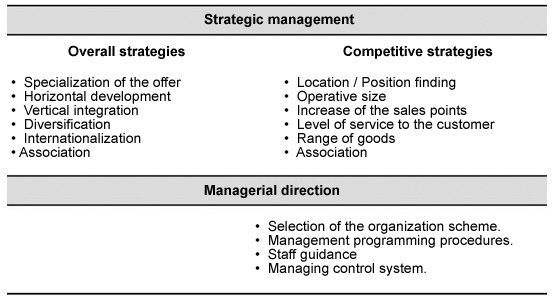 To optimize the scale of management operations. To develop new business and market areas which are more effective and efficient compared to single companies. Help the development of enterprise culture. Promote social and philanthropic work. This is an Enterprise network which has “a central element called a “franchisor” linked to satellite elements called “franchisees” through business agreements established in a “franchising package deal”. The said satellites are completely independent and manage themselves within one entrepreneurial group project”. The notoriety of the brand (different from case to case). Respect rules of behaviour which independent entrepreneurs sometimes find hard to do. 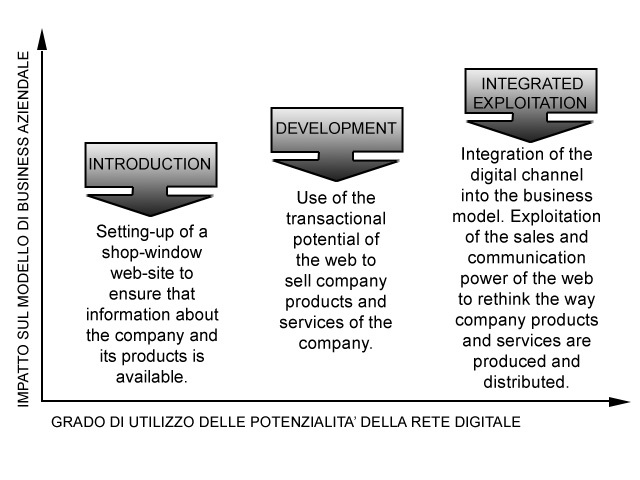 Make structural investiments (location, image of the point of sale, shelves, electronic equipments, erc.) which comply with the standards “imposed” by the franchisor. Pay an amount of managing expenses (rental, personnel, royalties, stock. etc.) which are affordable only if the volume of business is quite big. Direct capitalization of average operating income produced by the business being evaluated. Discount back the assumed net cash flow produced by a business over a specific period of time (up-dated net value). Effectiveness and efficiency of logistics.